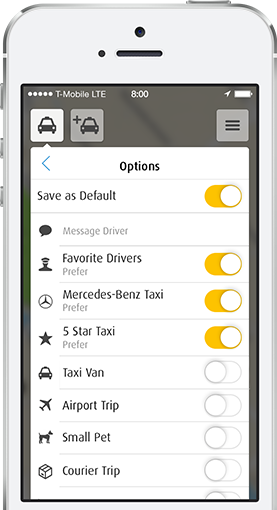 This is mytaxi - the Taxi App. 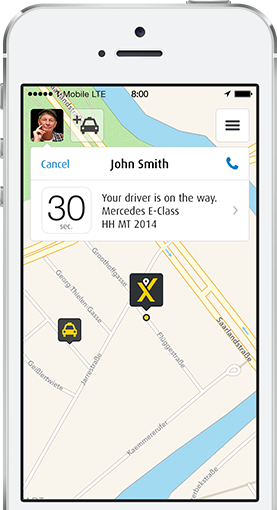 Order yourself a taxi and watch it arrive – in real time and on the map. 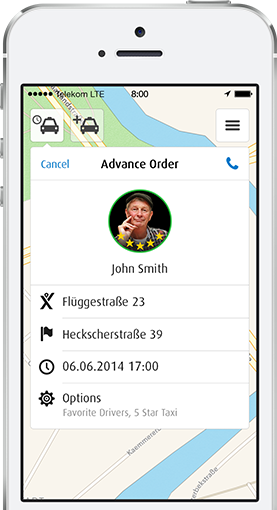 Or request push notification of when your driver arrives at your door. Order your taxi for the day and time you want – and up to four days in advance. And know that it will be there precisely when you need it. Order a taxi to suit you. Like one with your regular driver. Or a maxi taxi. Or order one of our best – a 5-Star Taxi. 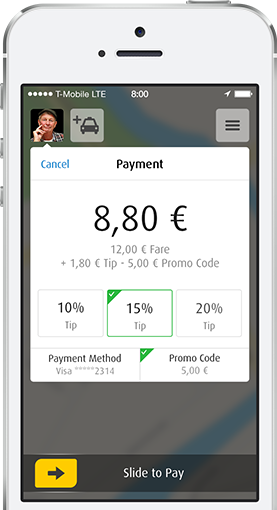 Add a payment method to your account (credit card or PayPal) and pay for your journey with the app. With guaranteed security and at your fingertips – it couldn’t be simpler! 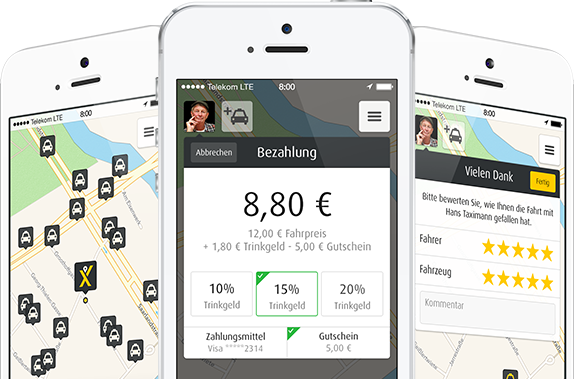 Every time you pay your taxi fare with the app we will send you your receipt in the most convenient way – by e-mail. This saves paper and keeps your accountants happy, too. 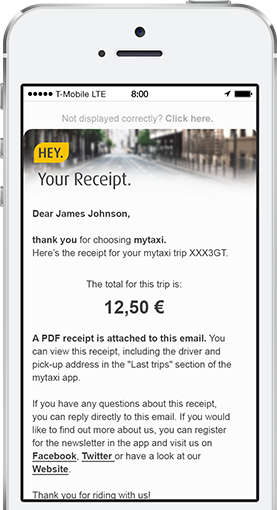 Say goodbye to receipts on paper and hello to Airplus – mytaxi business solutions make the billing of taxi travel simple and efficient. All your staff can enjoy the convenience of taxi travel without having to pay and you receive a single bill for all their journeys once a month.